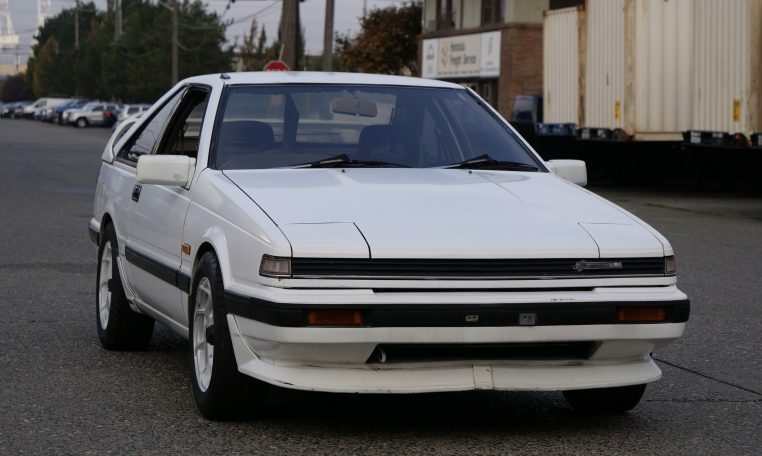 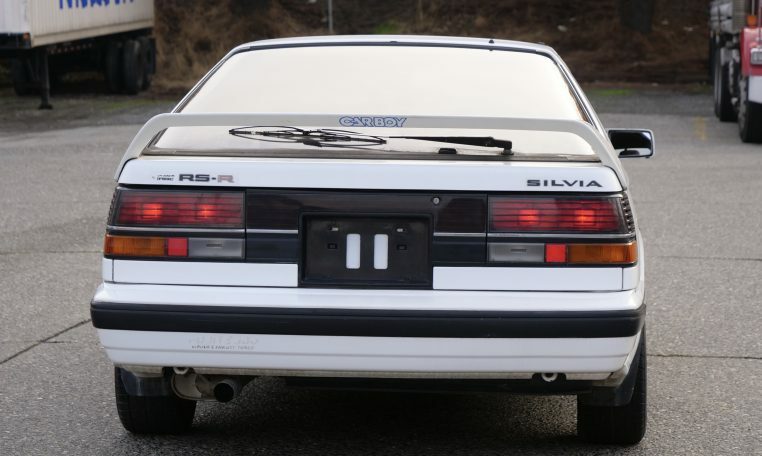 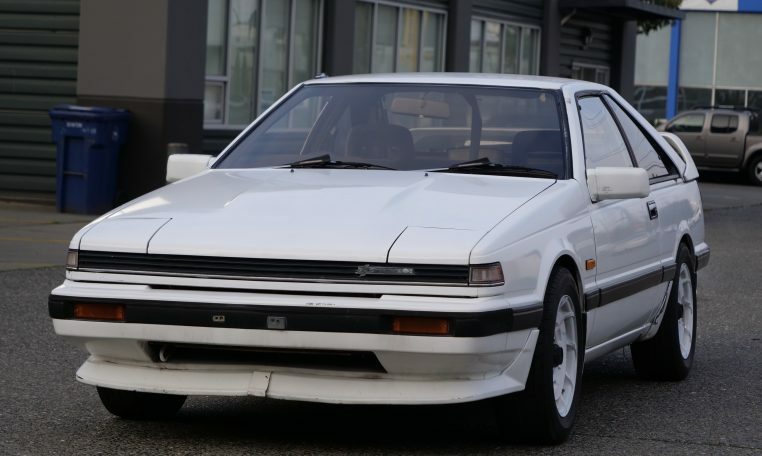 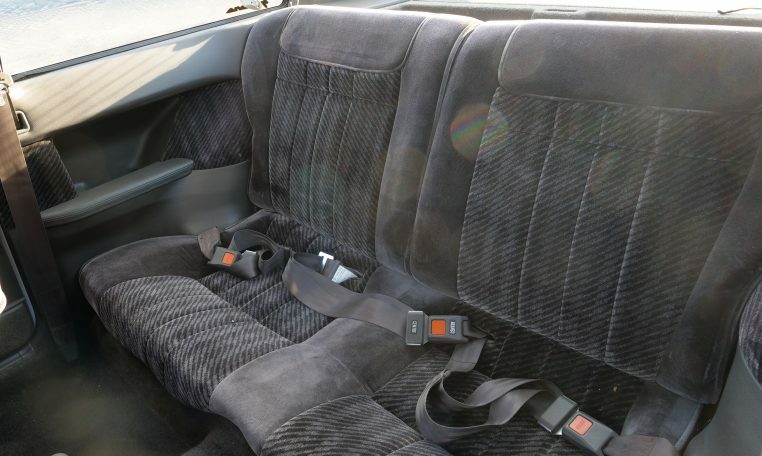 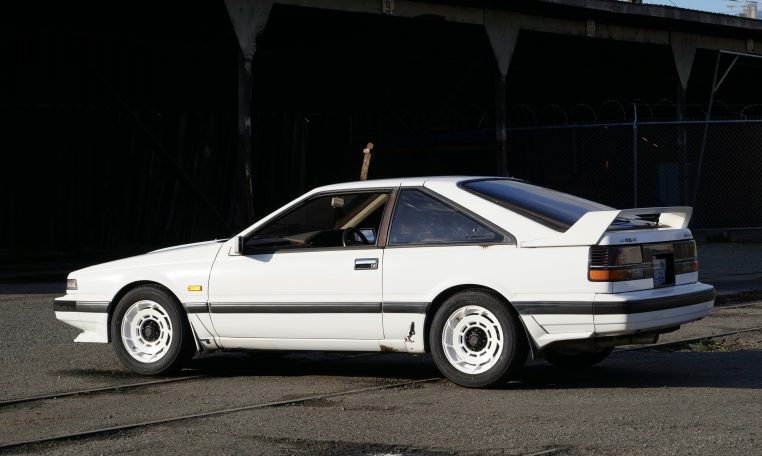 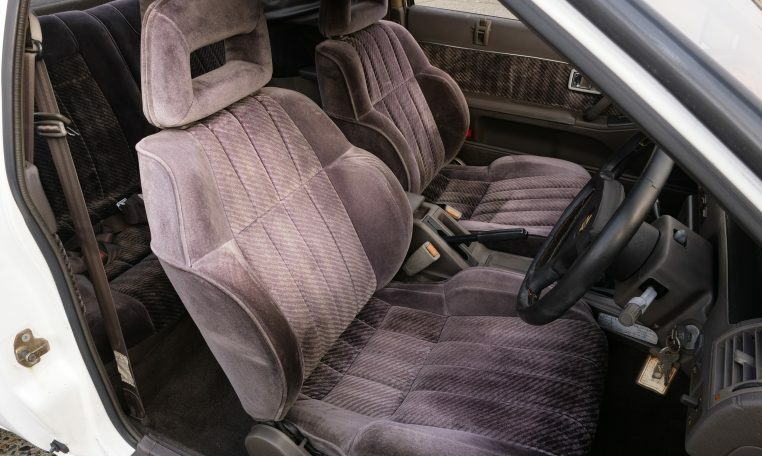 1986 Nissan Silvia S12 – RS-X Mk2 Twincam Turbo – RBS12HFT. 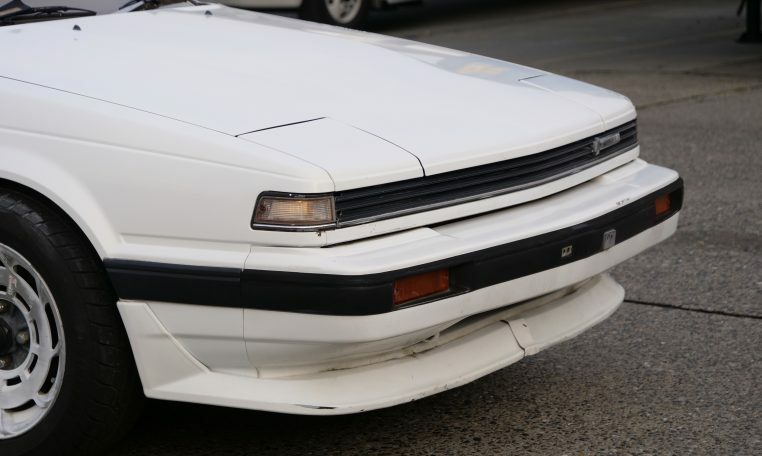 This car has unique Aero along the lines of the ‘Max Air Dynamic’ aka MAD kits offered in the mid 1980’s. 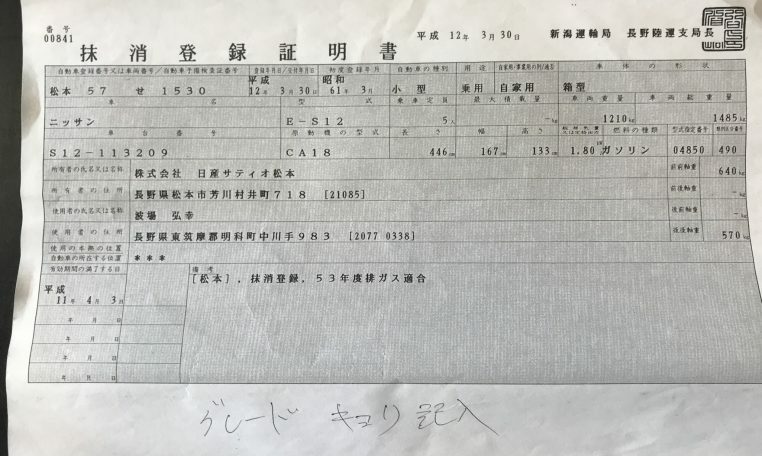 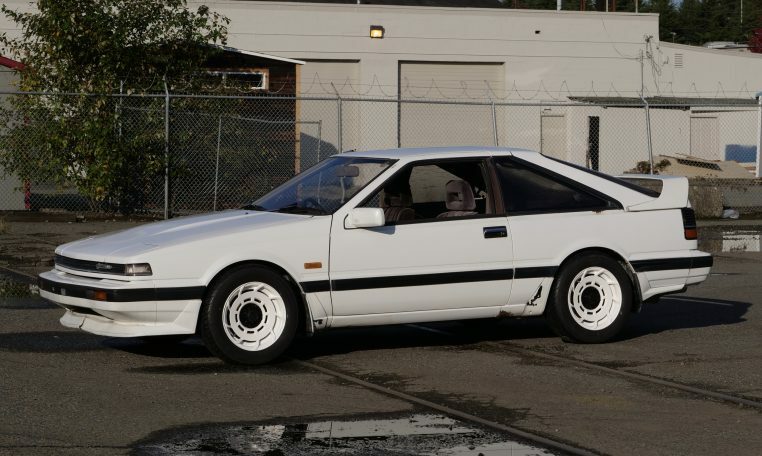 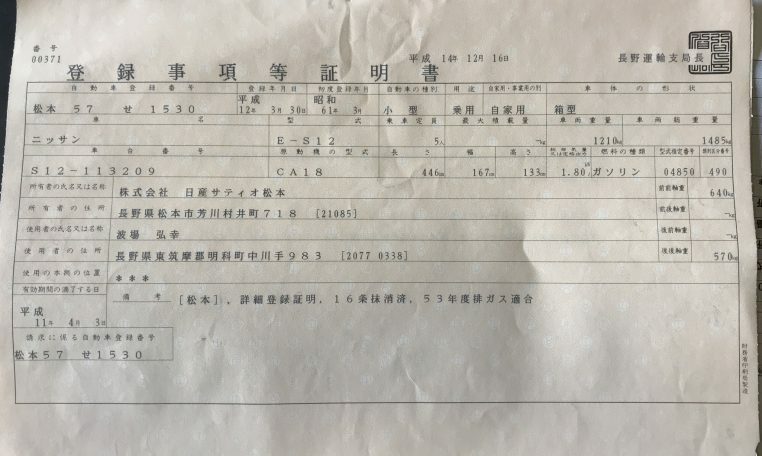 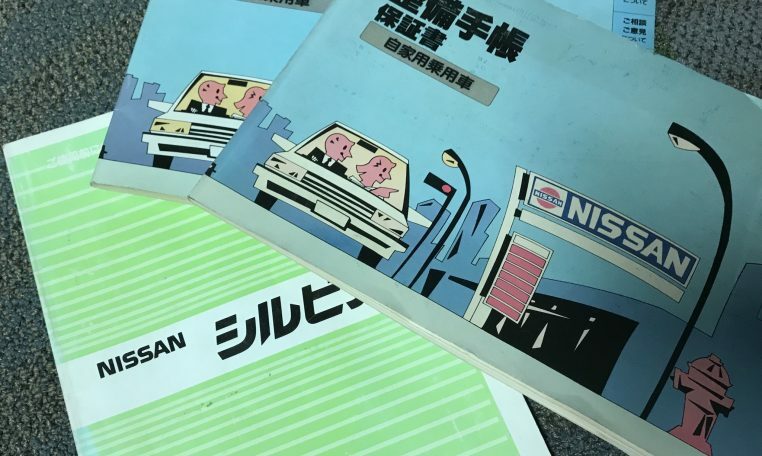 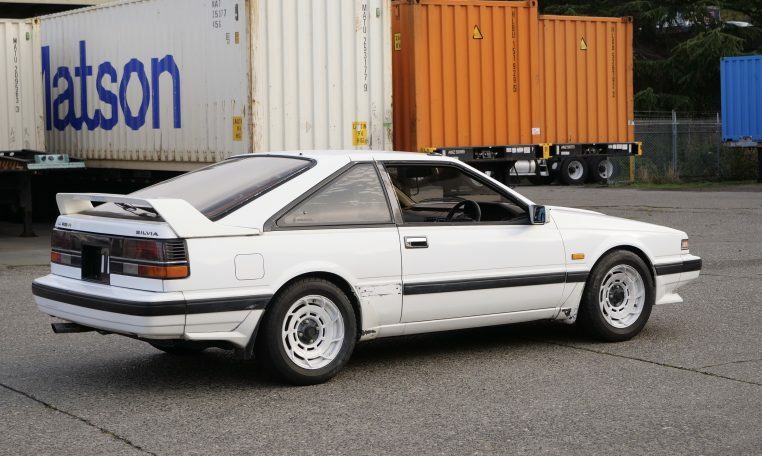 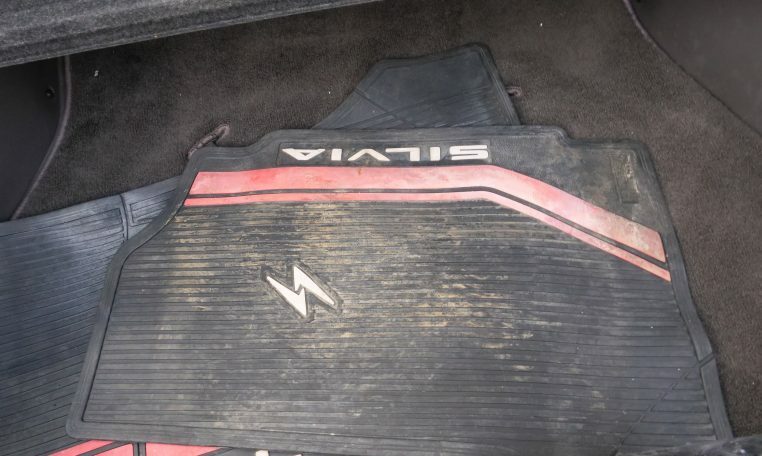 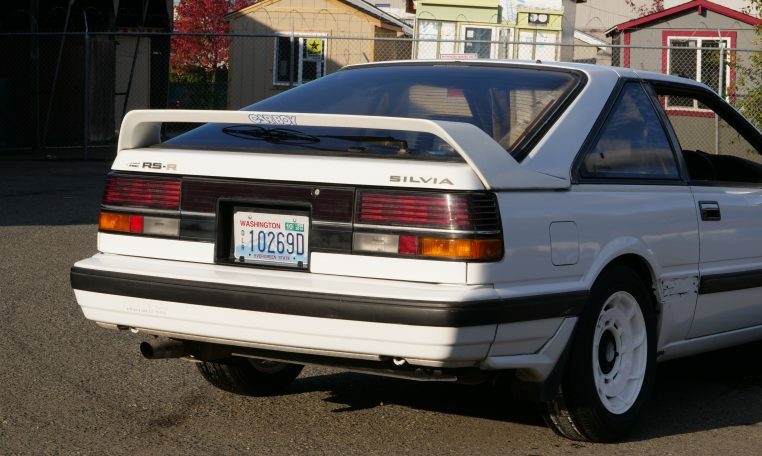 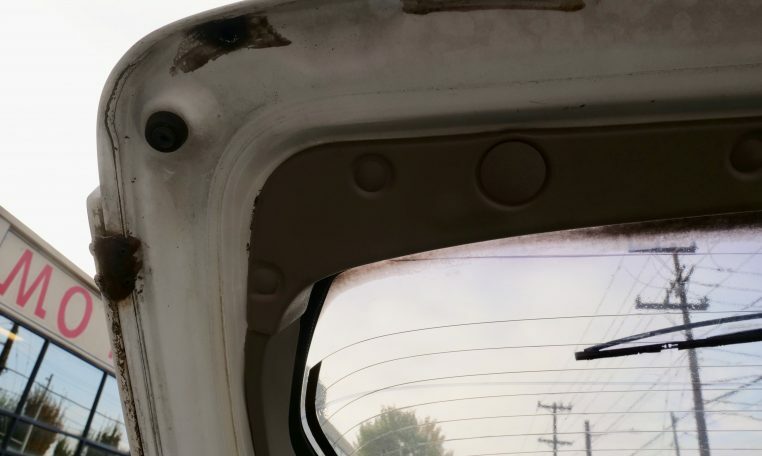 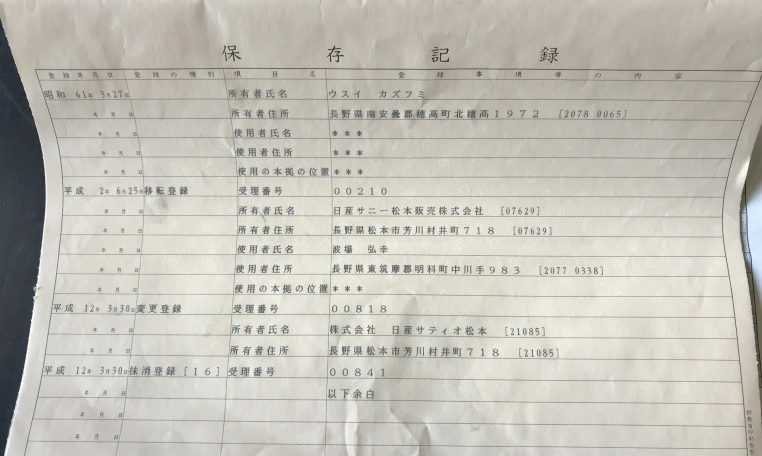 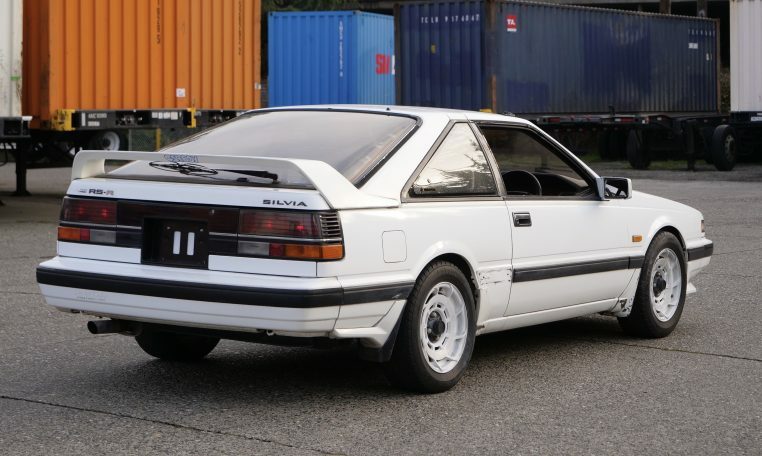 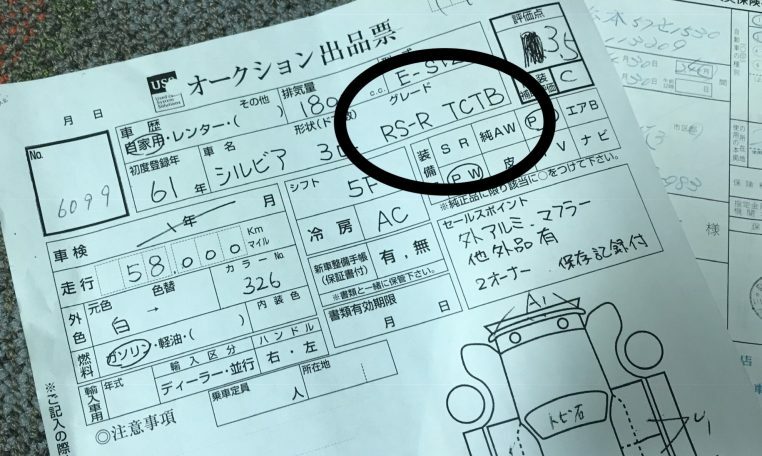 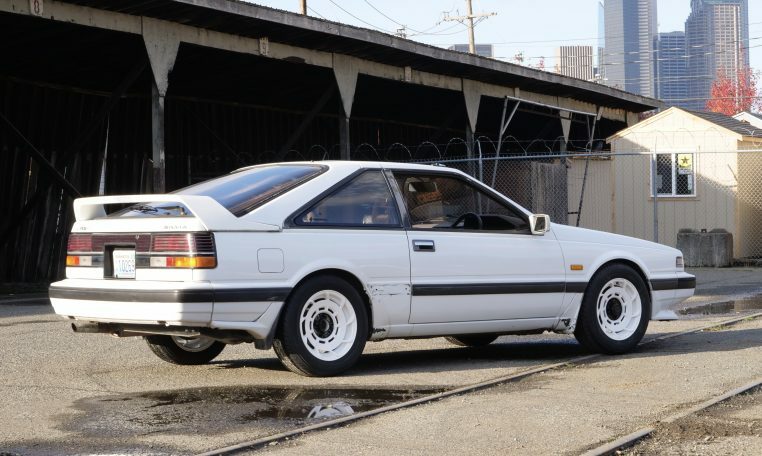 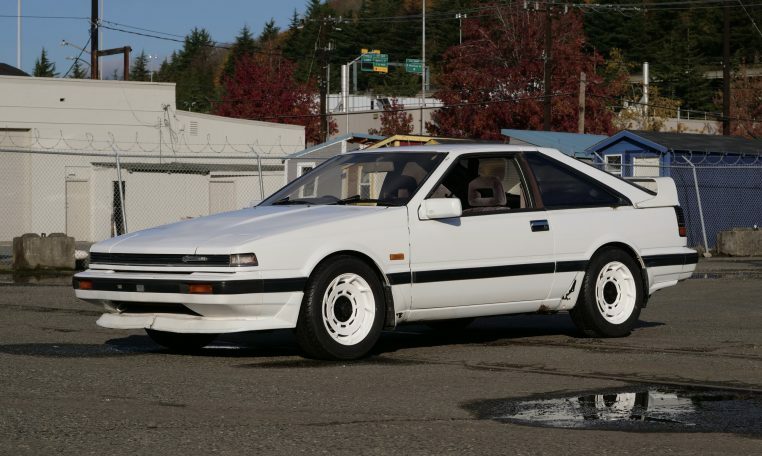 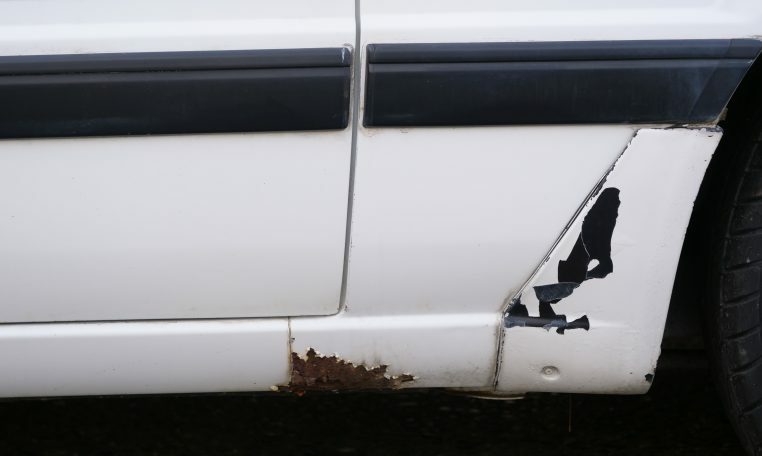 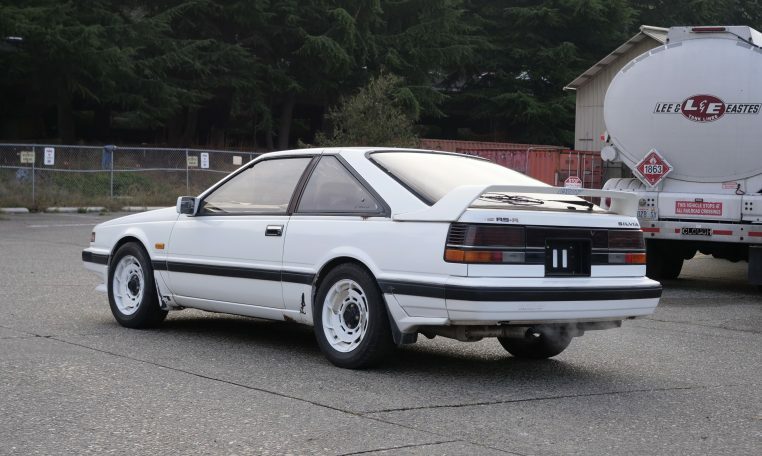 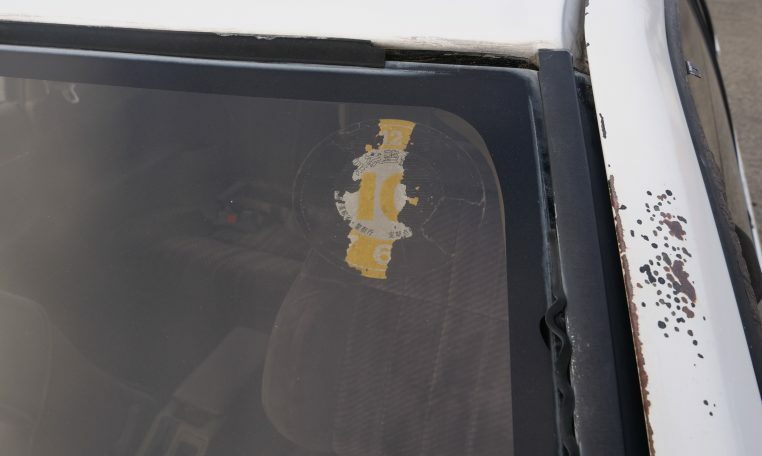 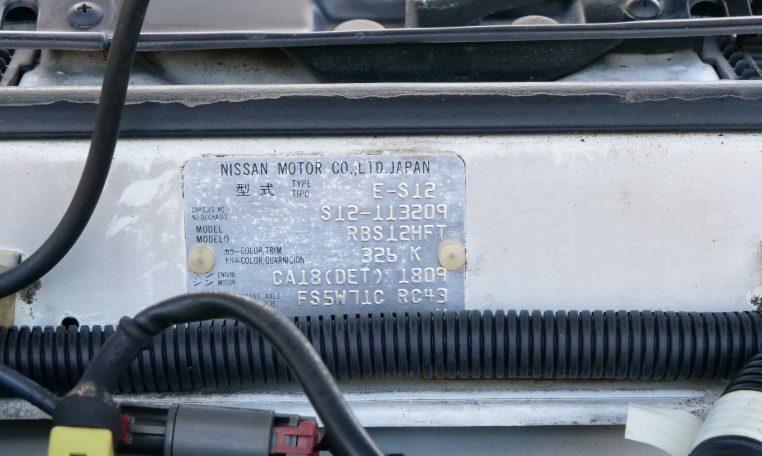 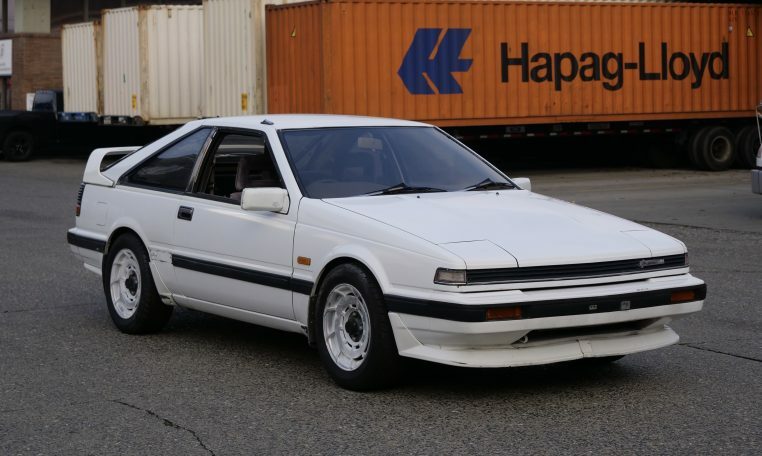 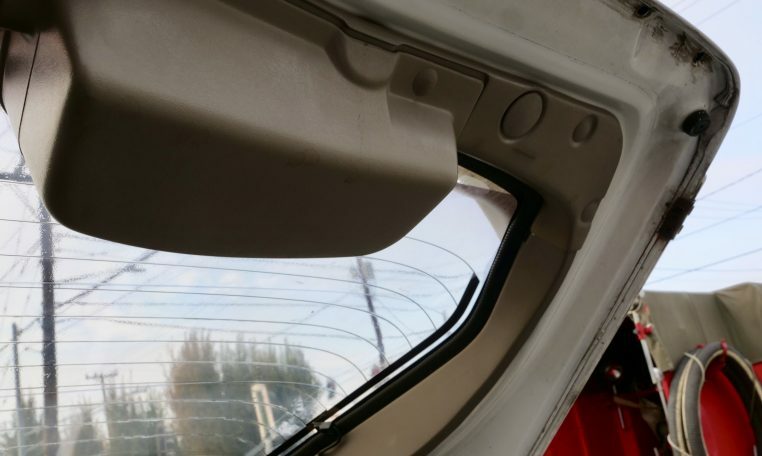 This car is badged as RS-R and included in model identification on Japanese inspection paperwork – may have some connection to the present-day RS-R Japan. 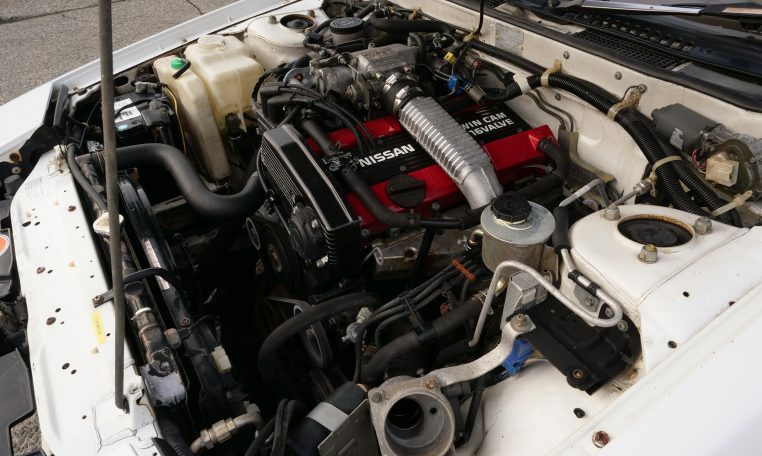 The Mk2 RS-X came with the rugged CA18DET twin-cam turbo. 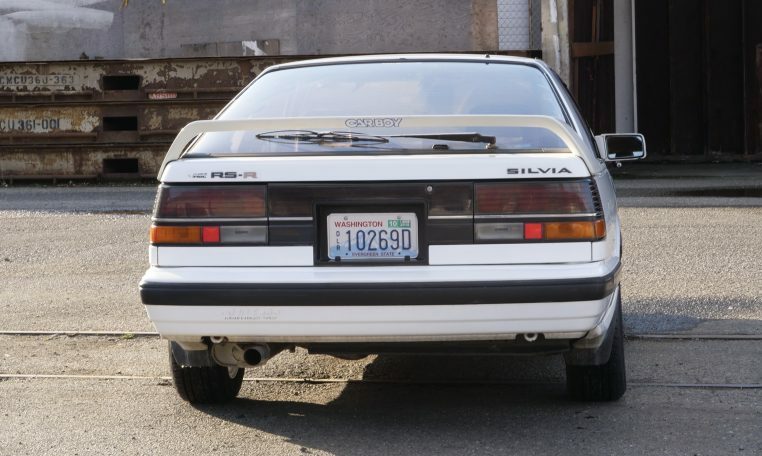 A worthy successor to the original FJ20DET powered Silvia RS-X. 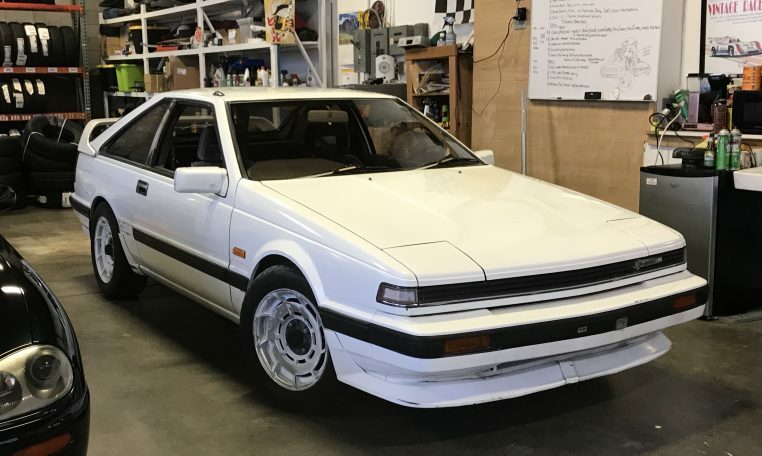 Both drawing on the 240RS Group B homologation special. 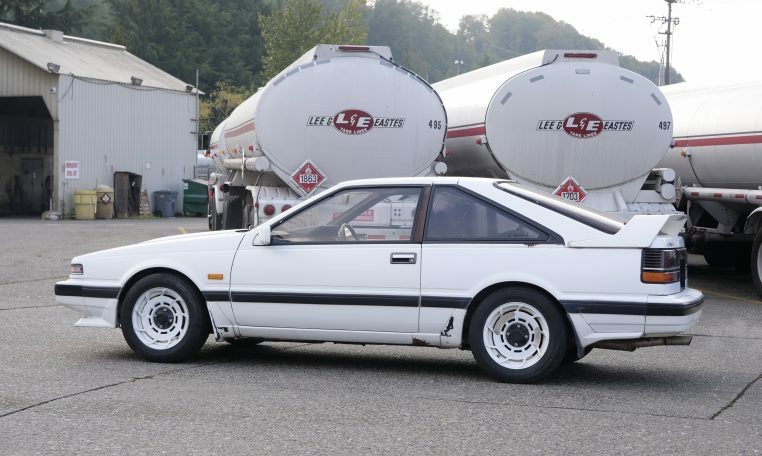 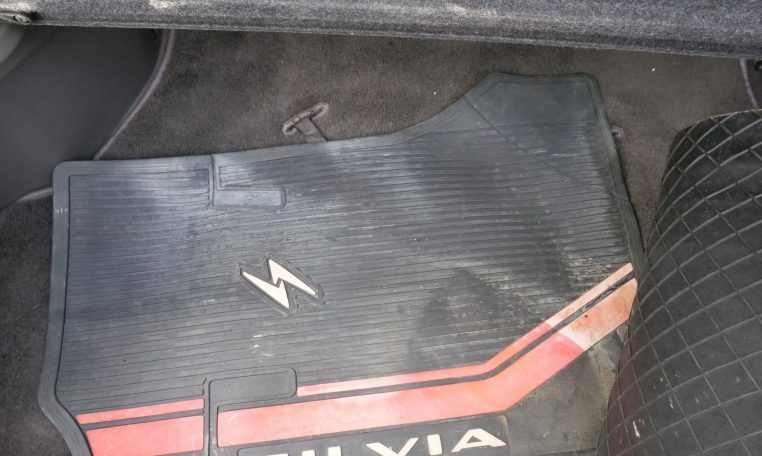 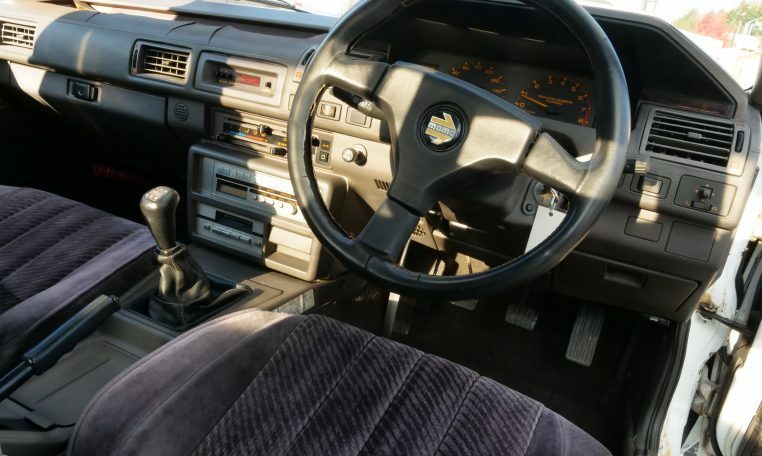 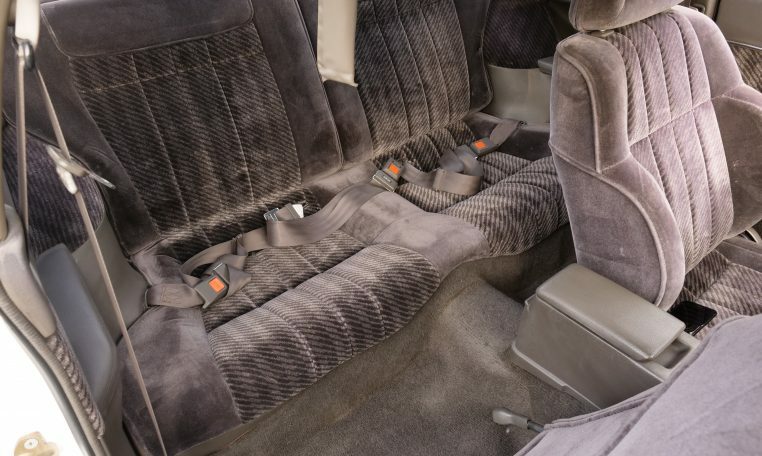 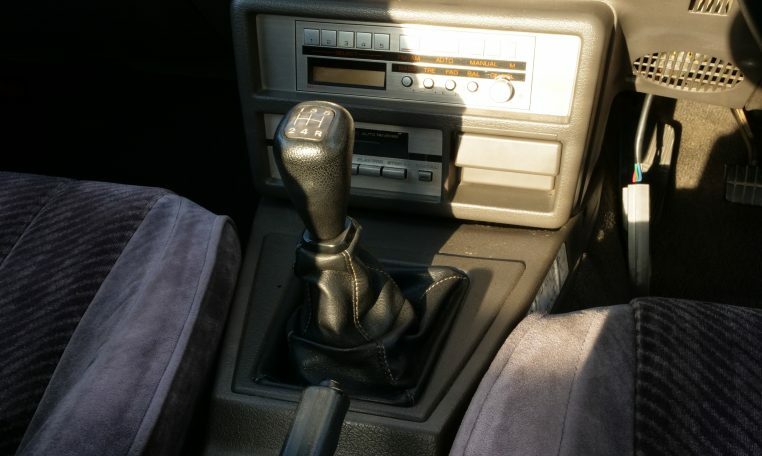 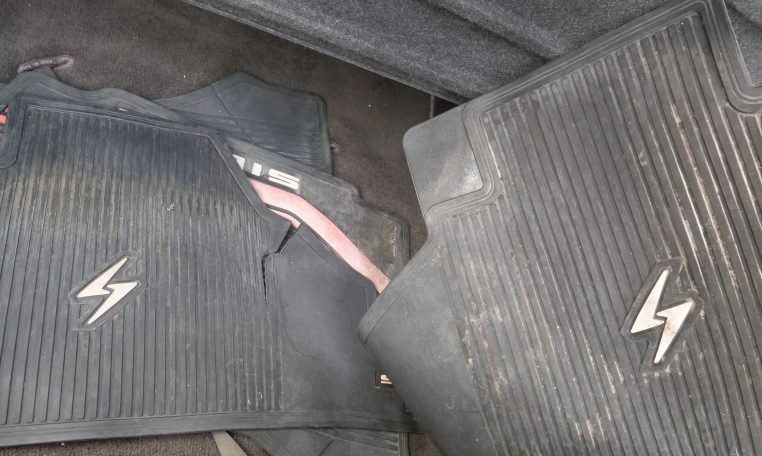 Only 58,015 kilometers and just out of 20 year storage. 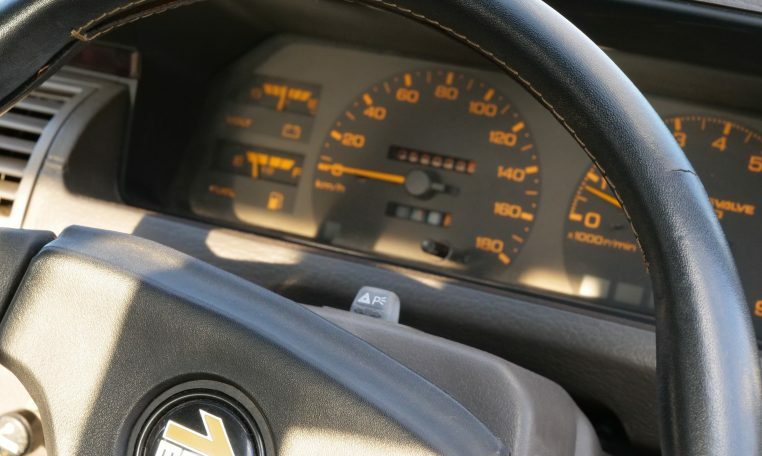 After receiving in the USA, we installed new Walbro fuel pump / fresh fluids / filter / battery – confirmed engine health and it’s running great. 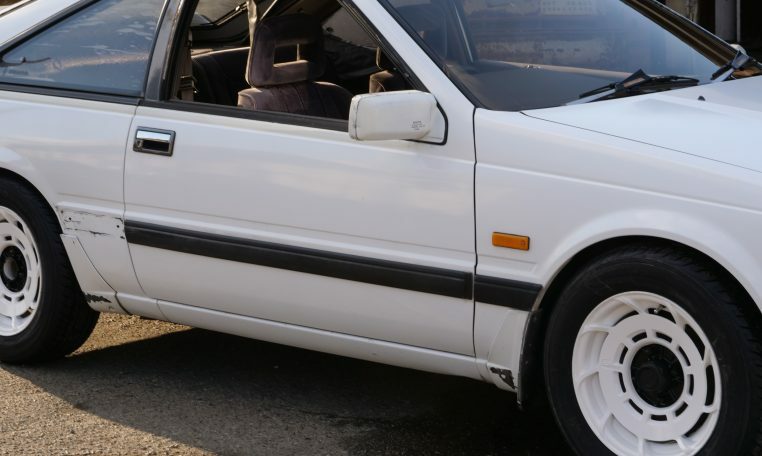 Original Turbina S wheels refinished and new Yokohama 205/60×15. 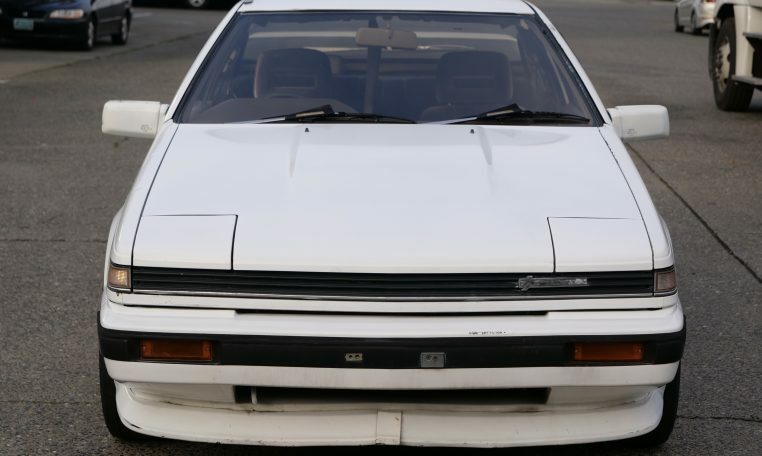 … the S12, the fourth-generation model, was launched on August 23, 1983 (its sibling, the Gazelle, was launched at the same time). 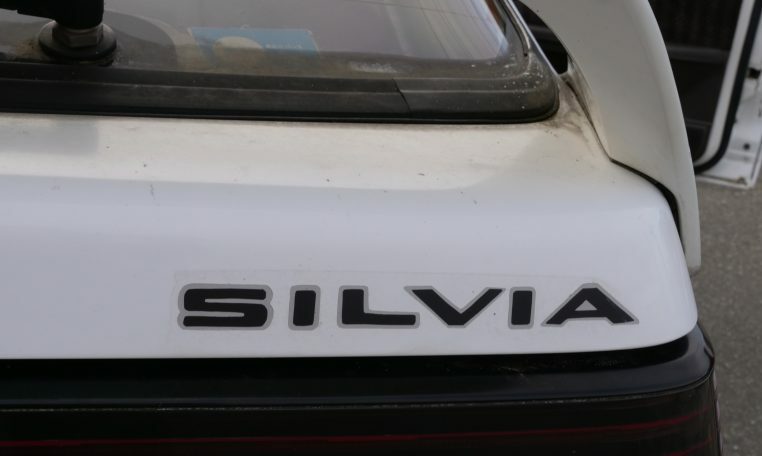 The Silvia was on the cutting edge, with its innovative styling and lively performance. 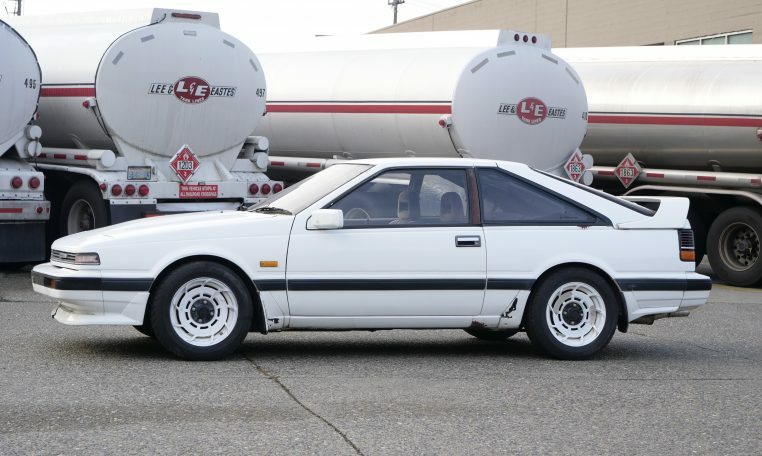 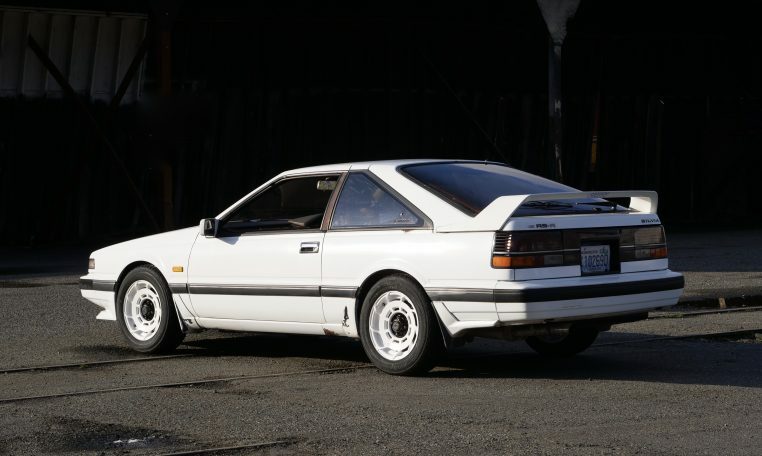 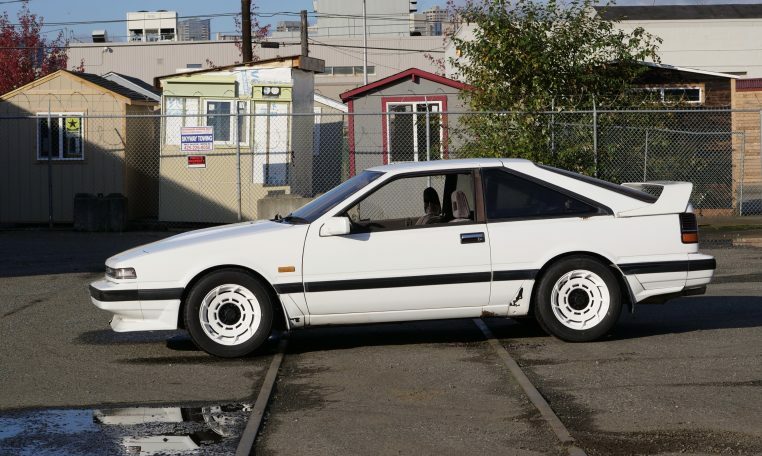 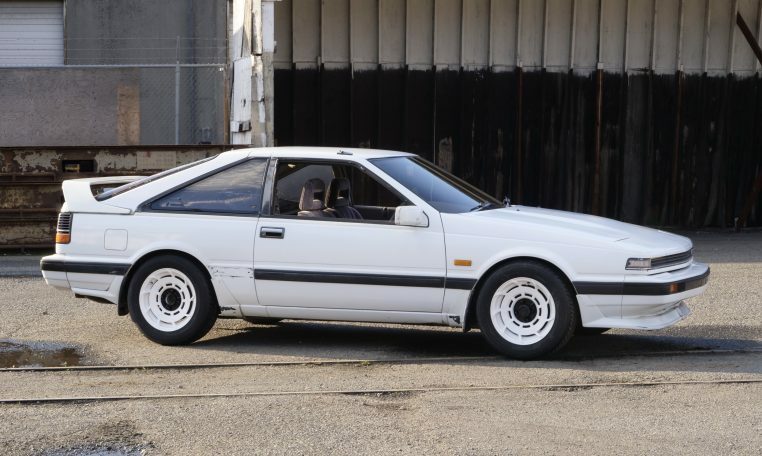 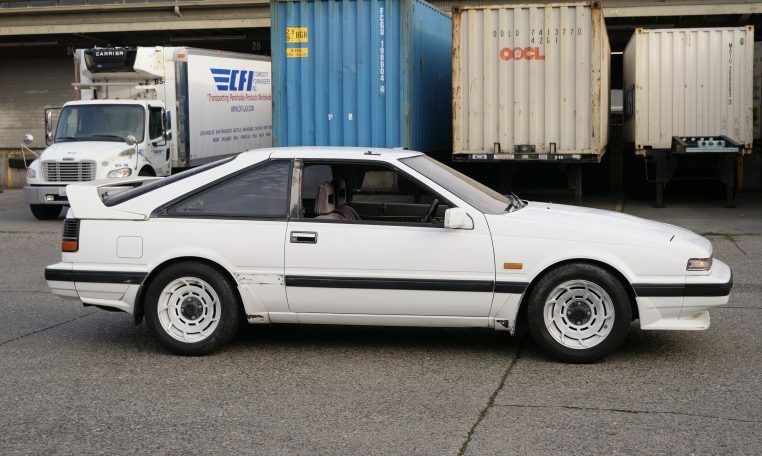 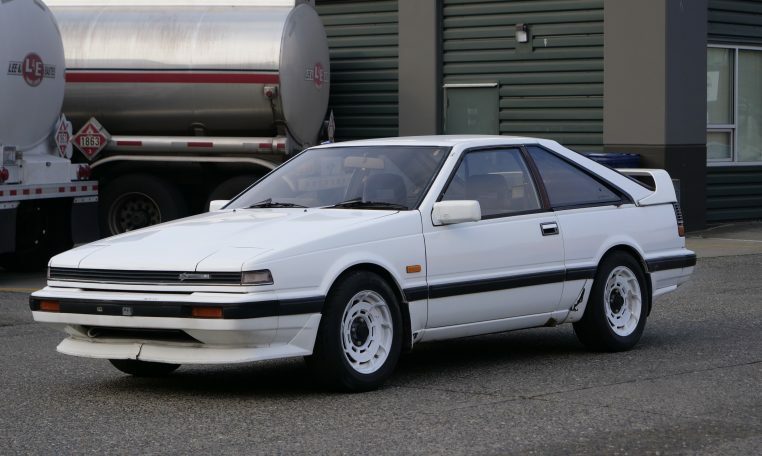 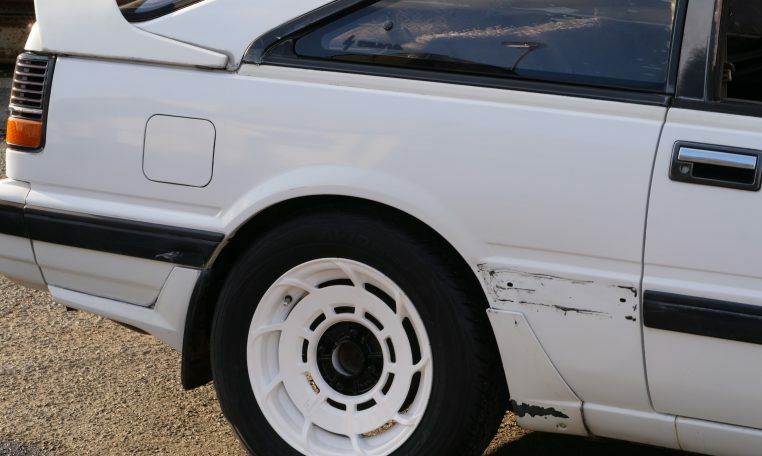 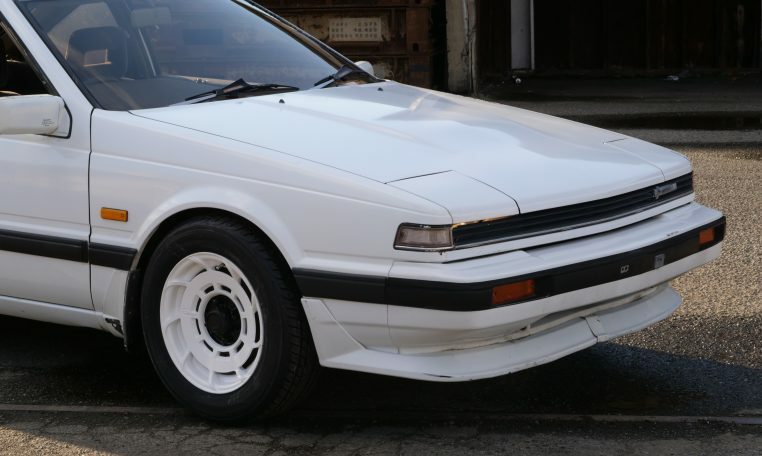 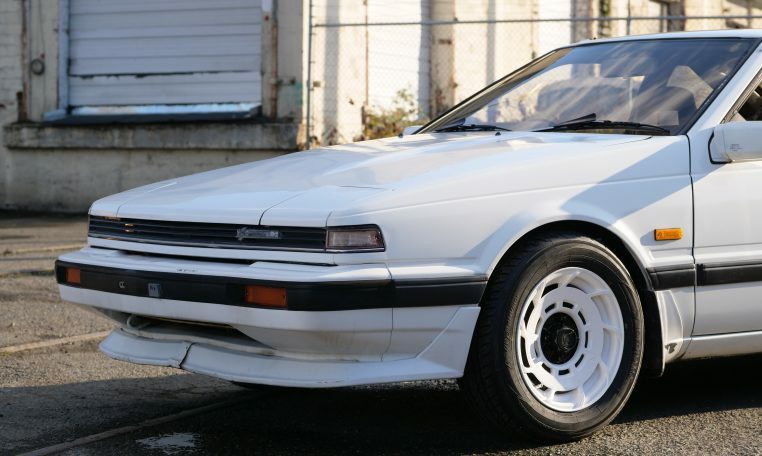 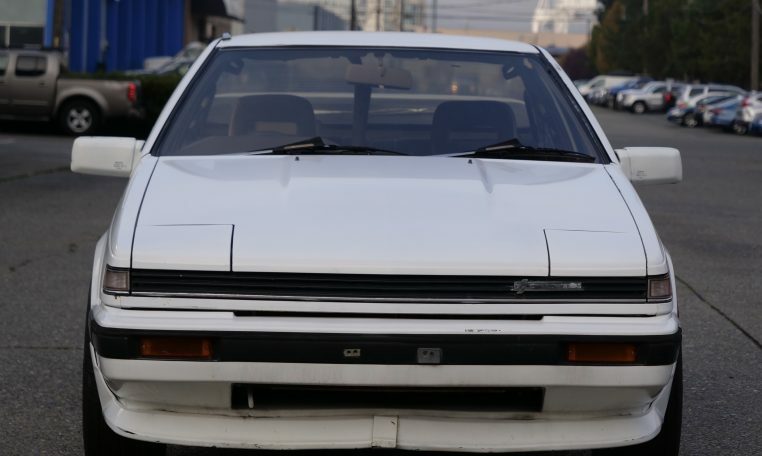 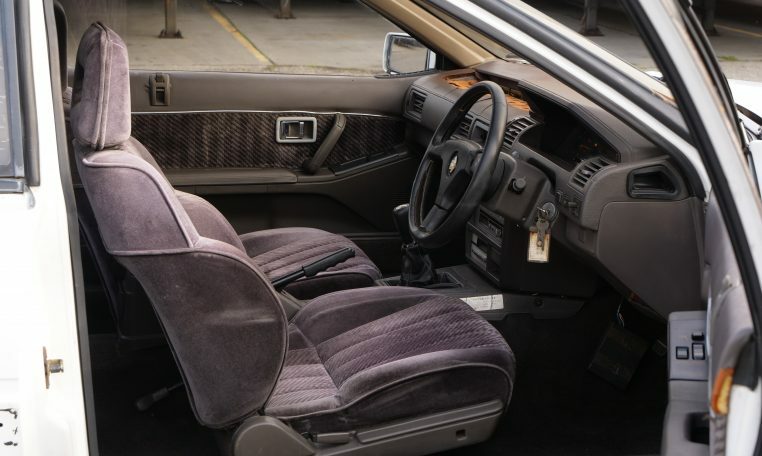 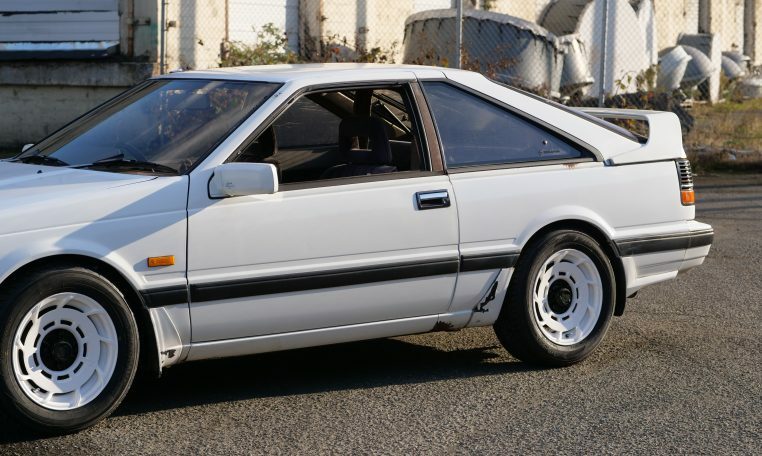 The S12 was no exception: with its bold front mask and fully retractable headlights, a powerful wedge-type silhouette, and high-performance twin-cam 24-valve FJ20 engine, this unique car was very popular. 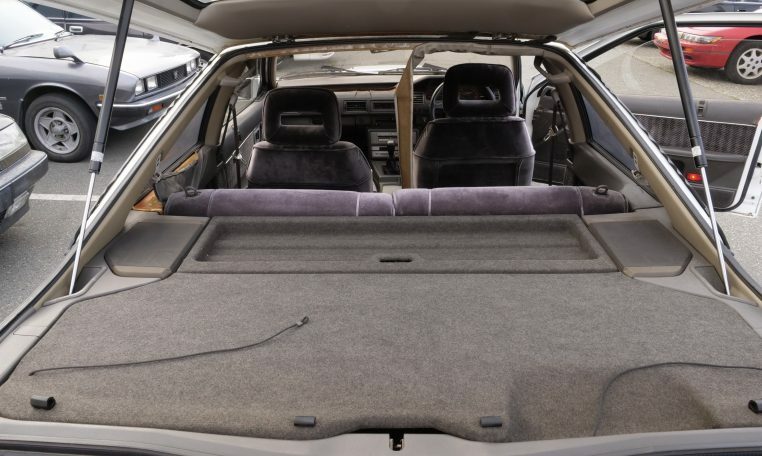 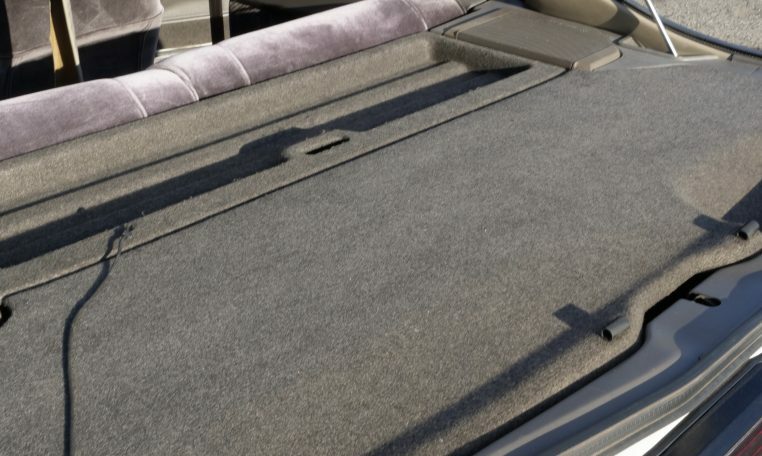 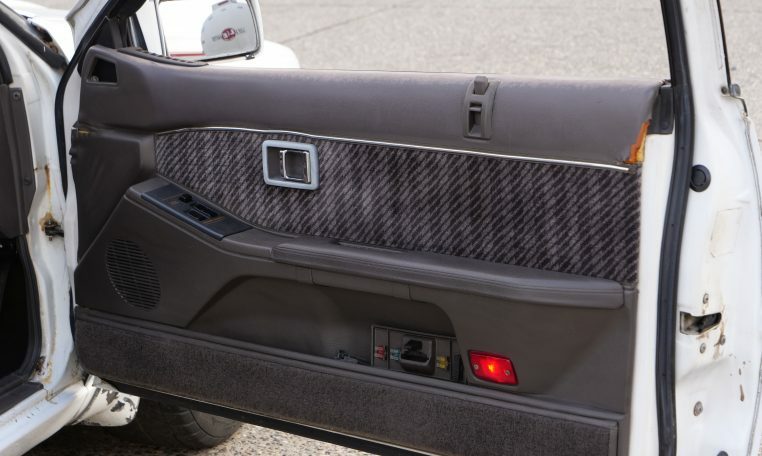 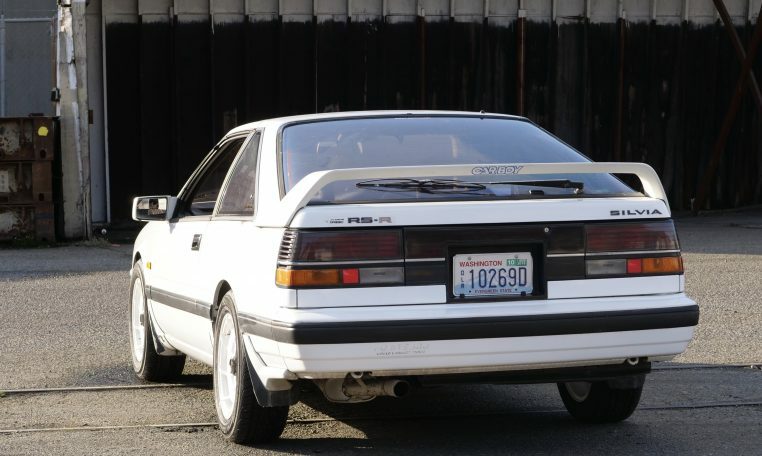 Two body types were available: a coupe with a notchback roof, and a hatchback with a wide-opening rear gate. 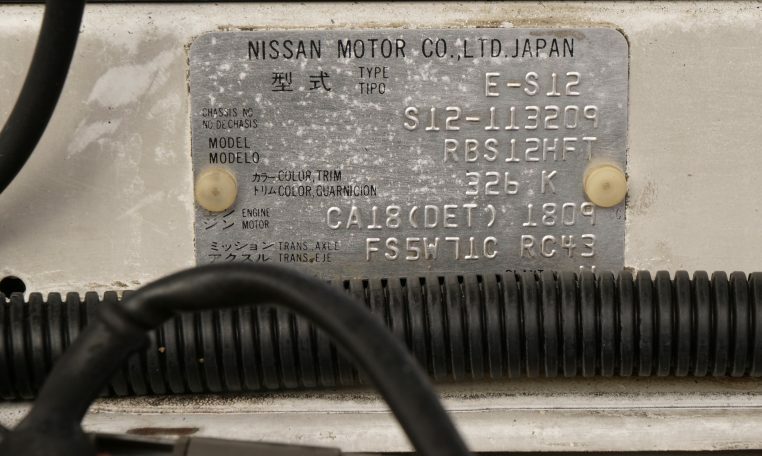 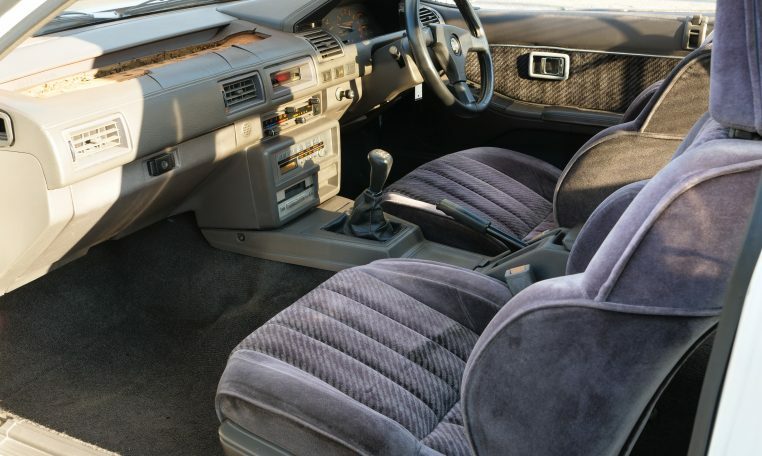 Following a minor change in February 1986, the FJ20ET and FJ20E engines were replaced with the new 1.8-liter twin-cam turbo 145PS (net) CA18DET engine, following which all models were powered by the CA18 family. 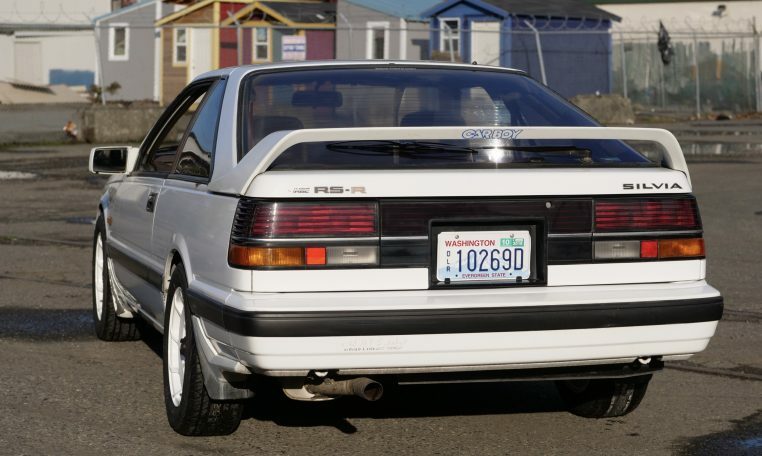 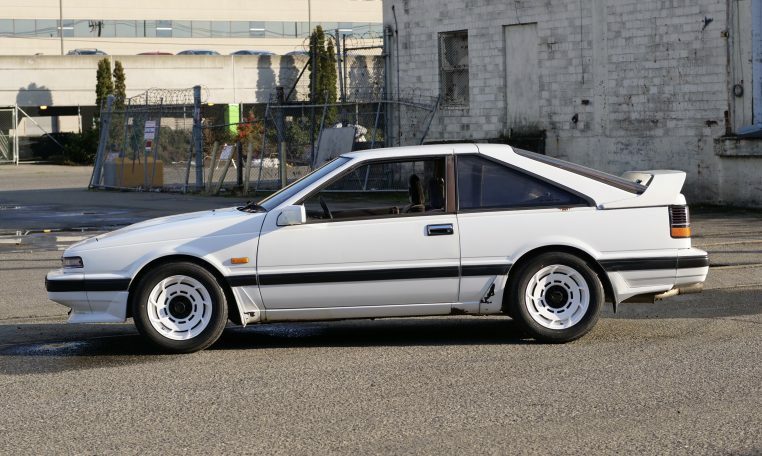 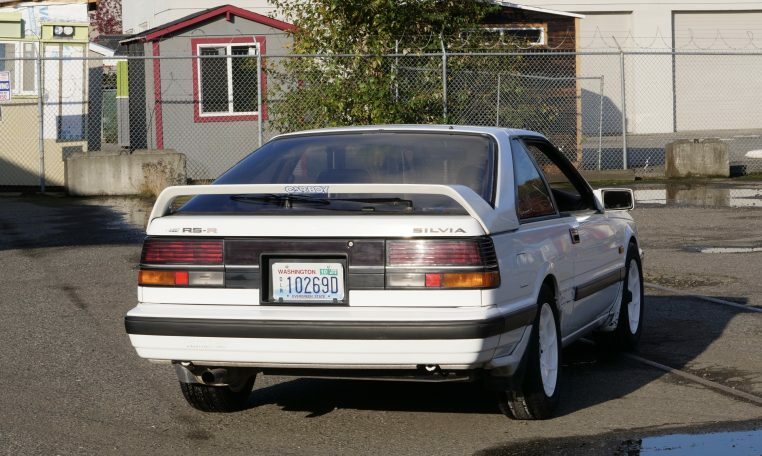 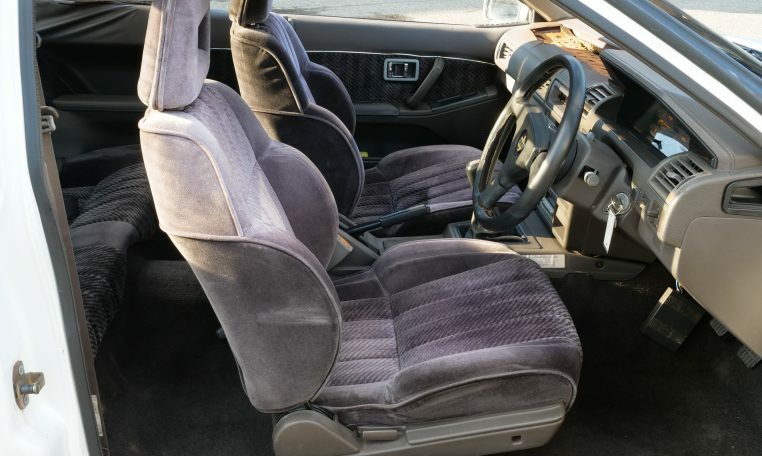 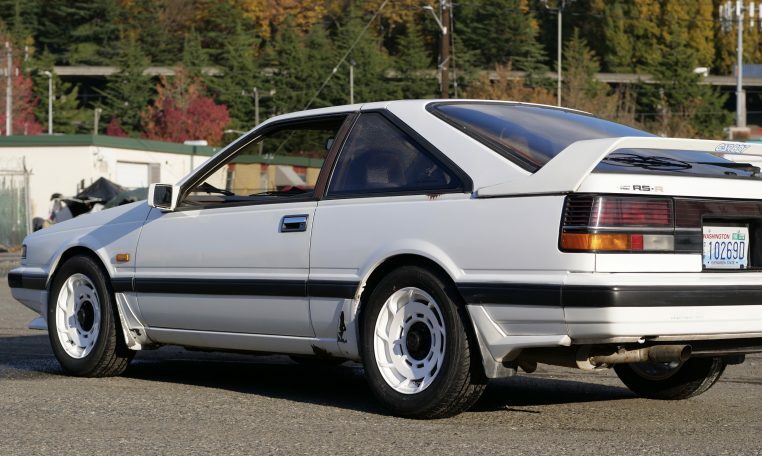 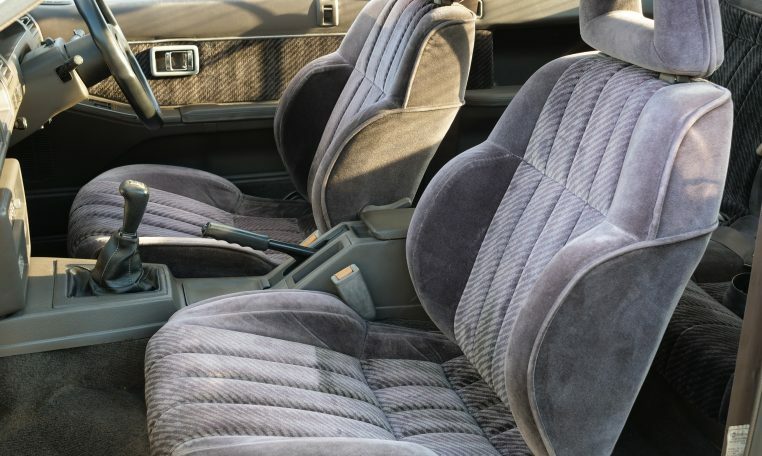 The twin-cam turbo RS-X was the top-of-the-line model for both the coupe and hatchback series.